We’ve been dairy free for four years now and I have officially decided that Easter is actually the worst bit. Shops lined with chocolate everything, every kind of Easter event revolving around chocolate eggs. I find it really, really irritating. Luckily, every year that we are dairy free it seems to become a little easier. Brands are more aware of the need to cater for allergies, and with veganism on the rise there are more and more dairy free options which is always a good thing. I’m a little late with my dairy free Easter guide this year (did anyone else think it was ages away, and suddenly it’s next week?!) but here are my top finds and tips for a dairy free Easter 2018. I covered lots of my favourite tips and ideas in my post from last year, so definitely check out my Dairy Free Easter Survival Guide for loads of ideas and dairy free Easter finds. As always, if you’re okay with soya lecithin you will be able to find some decent choices in most supermarket free from sections. This is our first Easter being okay with lecithin and it is very exciting. Note about soya lecithin: soya lecithin is a very highly processed type of soya, and in theory it should contain very little protein (if any) so it would be right at the very bottom of a soya ladder. 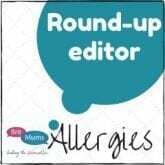 As it is the protein that our children are allergic to, it’s quite common for soya allergic children to be able to tolerate it. If you haven’t trialled it previously I would strongly recommend giving it a go, because it opens up a lot more options for you both. Tesco has got Free From Easter eggs in milk and white chocolate, and they come in two different sizes. They also have chocolate bunny lollies which are currently on buy one get one free. Asda have upped the game even further with their Free From Easter Bunnies, which also only contain soya lecithin. It’s always really nice to see some free from products aimed at children rather than adults. If you’re not okay with soya lecithin, or you haven’t trialled it yet then things are a little harder but there are still some great options out there for you! Last year I mentioned Moo Free Easter Eggs and there is some great news this year because they are now stocked in so many more shops, making them super accessible and easy to get hold of. They are now stocked in Sainsbury’s, Aldi (amazing right?! ), health food shops like Holland & Barrett and Morrison’s. They are also included in the 3 for £10 in Morrison’s along with all the normal eggs which I think is really awesome. It’s great to see them with all the normal eggs and for a totally reasonable price. 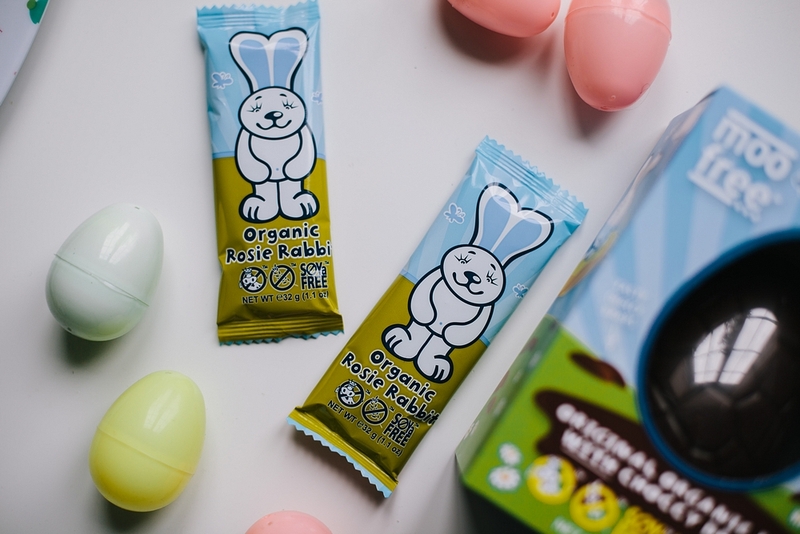 Moo Free have also brought out some really cute Rosie Rabbit bars this year, which make a great addition to any dairy free Easter basket. 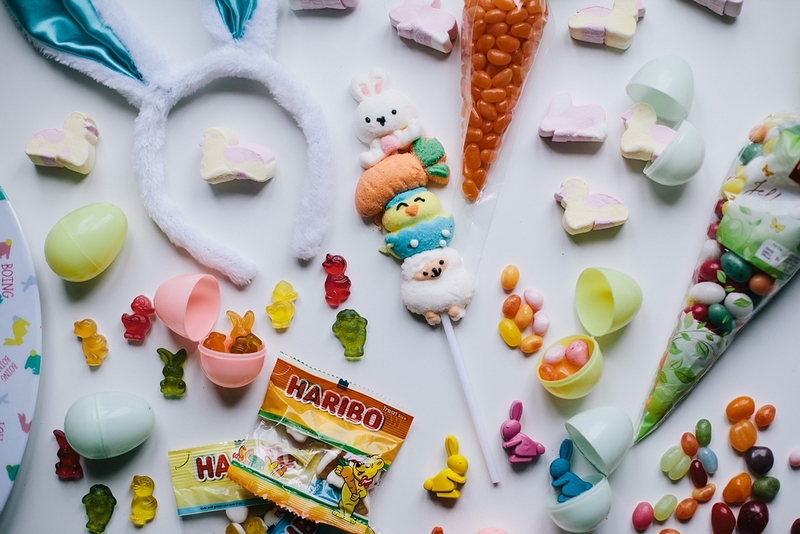 Plamil also have some great soya free options again this year including the Plamil Half Eggs, Milk Chocolate Bunny Bars and the Bow-Tie bunny (check out last year’s post for more info!). Plus Booja Booja eggs are always a gorgeous choice for the dairy free adults in your life (or yourself of course!!). And there’s always my personal favourite – the dark chocolate Aldi Easter bunnies are dairy free and less than a quid! Stock up and enjoy all year round. Another option that I’ve been trying out this year is making my own dairy free Easter eggs, which was actually much easier than I thought it would be. I got some moulds from Lakeland (which were only £3.99) and I also had a silicon mould from a few years ago. The Lakeland kit had moulds for a large Easter egg and lots of mini eggs too, and I used the cheap Aldi dark chocolate and some Moo Free to make my eggs but you can use whatever chocolate is safe for your allergies. To make the larger egg I spread thin layers of melted chocolate into the mould, letting each layer set in the fridge before layering the next. I tried this with a silicon brush and with the back of a dessert spoon and both worked well, so you don’t need to go buy anything special. I think I did about 5 layers to make sure they were thick enough. Before sealing the large egg together I filled one half with jelly beans which made a nice surprise for Dil when he cracked it open. You could also do this with marshmallows or any other kind of sweets (see below for more ideas). 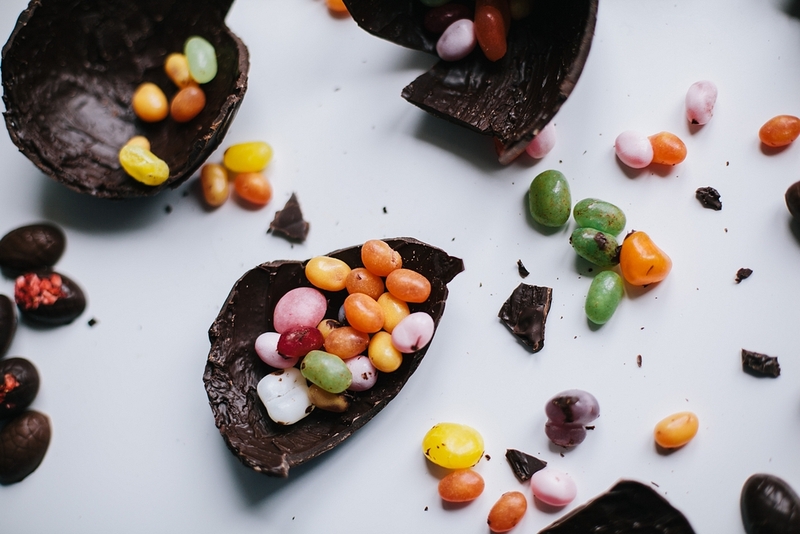 It would also be a really sweet idea to make a special Easter dessert by serving half an egg filled with dairy free ice cream (Sainsbury’s has just launched a great one) and some delicious chocolate sauce (we like the Sweet Freedom one). For the mini eggs I just poured a little melted chocolate into the moulds with a teaspoon. 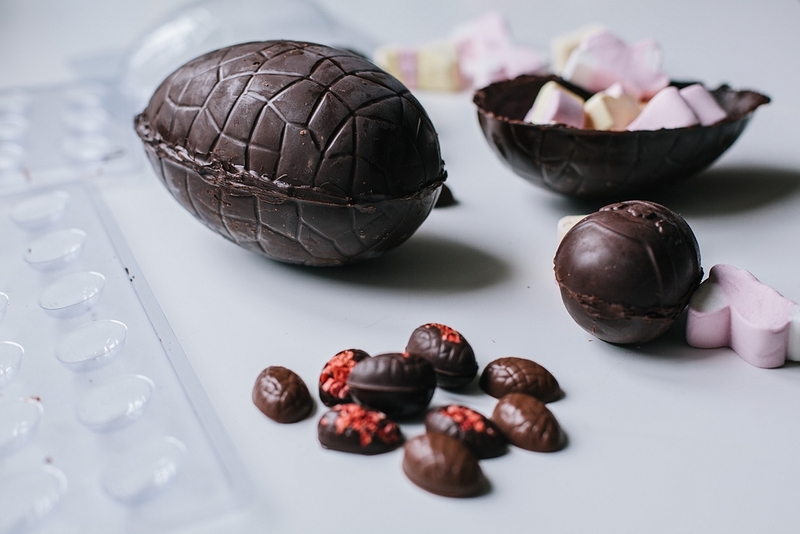 I added some freeze dried strawberries to some of the mini eggs which gave a really pretty effect, and you can either leave them in halves or stick them together with a little more melted chocolate. You could temper the chocolate before using, which means it will keep its shine, but I didn’t bother and I’m not sure anyone noticed. Still tastes good and that’s what matters here! 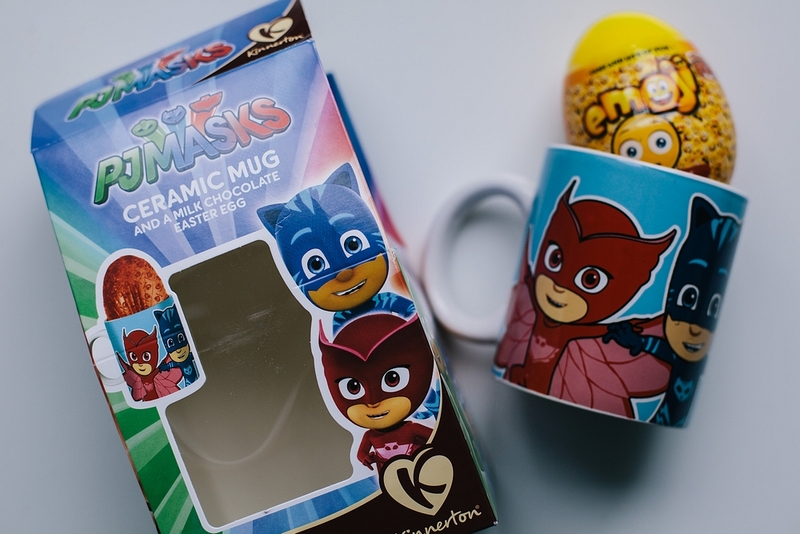 If your child is really set on having an Easter egg with a specific character on you could wrap a large homemade egg in foil (available on eBay or Amazon) and swap out the chocolate egg from the original box. A great way to make an Easter egg hunt or party allergy friendly is by opting for the fillable plastic eggs instead of the chocolate kind. That way you can fill them with suitable safe and yummy treats yourself – and there are plenty of options around. 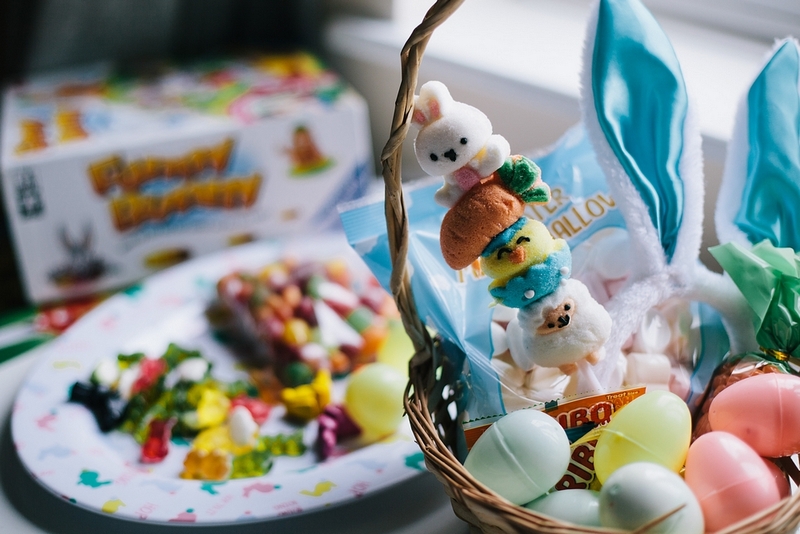 Marshmallows – Most supermarkets will have some Easter themed marshmallows in their seasonal section and these are great as they are usually top 14 allergen free. I found bunny and chick shaped marshmallows in Tesco, Lidl, and even Poundland. Jelly beans – Jelly beans are another great choice as they fit inside the eggs nicely and sometimes look a bit like tiny little eggs too! I found jelly beans in Lidl and I love these orange jelly bean carrot bags which are from Poundland. 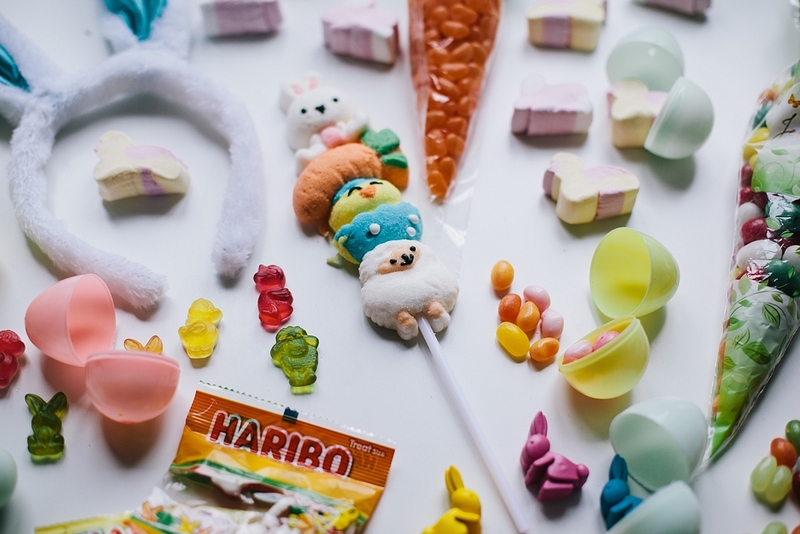 Jelly sweets – Haribo always brings out an Easter/Spring themed bag and usually Jelly Babies do too. You can also get a Haribo Easter gift set which I featured last year. Biscuits – Again supermarkets have some really great options this year. Gingerbread is usually dairy free and most supermarkets will have seasonally shaped gingerbread biscuits that are either decorated or in a kit to decorate on your own. This can make a really fun Easter activity with pretty minimal effort and mess! 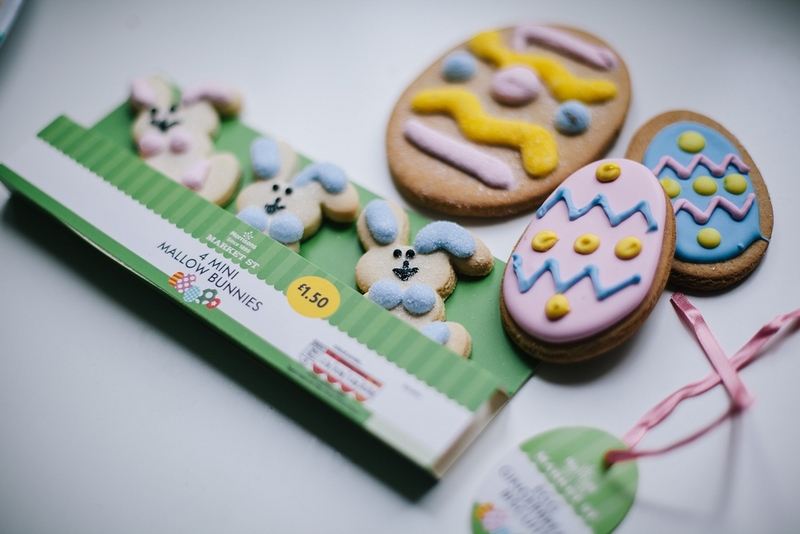 I found some really cute options in Morrison’s this year, including these really pretty gingerbread Easter egg biscuits and Mini Mallow Bunnies, which just happen to be dairy and soya free. My Facebook post has all the details and ingredients lists. The bunny biscuits didn’t last long after I took this photo, they are really delicious. There are also loads of non-food items you can put inside the eggs which will keep little ones happy and keep their sugar intake low. Things like stickers, small toys, temporary tattoos and little crayons keep kids happy and are probably much more fun than sweets any way. These bunny shaped crayons are from Poundland and fit really well inside small plastic eggs. Surprise Eggs are also great options, and these can often also be used to replace the chocolate eggs inside character themed gift boxes. I replaced the chocolate egg in Dil’s PJ Masks Easter Egg (from Poundland) with a few bags of Easter Haribo and a Surprise Egg. 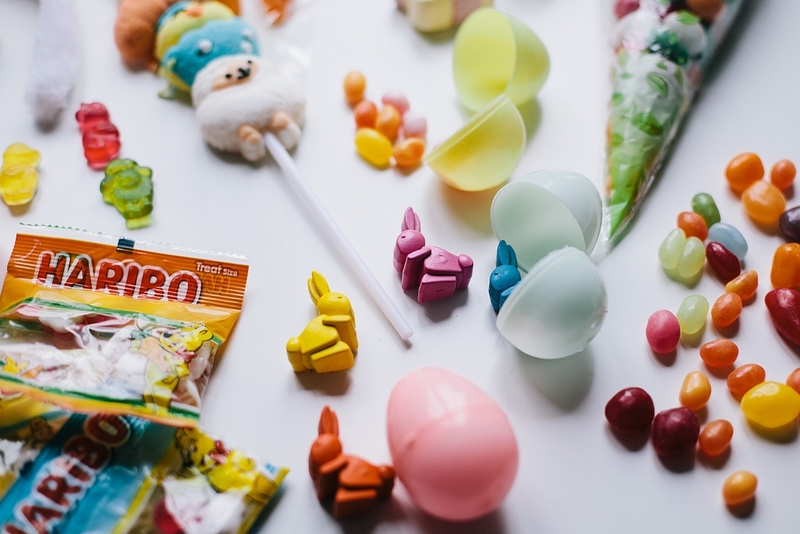 Instead of giving eggs and sweets, you could also consider giving gifts like toys, games or DVDs – there are plenty of Easter themed ones around and they’ll provide much longer lasting fun. We were recently sent the Funny Bunny game by Ravensburger and it’s genuinely one of the best games we’ve played. A full review will be up soon, but it’s a brilliantly simple family game, suitable for players of all ages.